I might live in Korea for decades and still be scared to drive here. Back home I used to joke that to my friends, traffic laws were more like suggestions. I got to Korea and near soiled myself on my first bus ride. Forget signaling when changing lanes or rules against tailgating; it’s like a jungle out there. 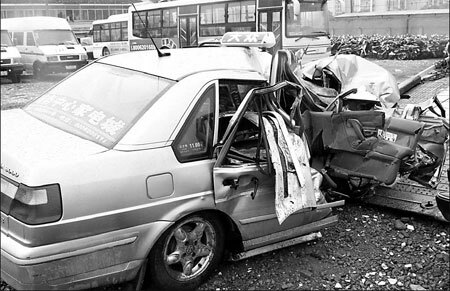 Korea has a lower rate of accidents reported but a higher rate of them are fatal. Food for thought. You quickly learn that taxis, buses and subways are the norm for daily commutes. Credit cards and transit cards are quicker than cash for the latter two but nothing beats the speed of a crazy taxi driver. Unfortunately taxi drivers know this and sometimes take advantage. While there is occasionally the slower driver, there are those trying to pad their fares. Be wary, when travelling in a taxi (especially long distances) be aware of a few rules to go by. 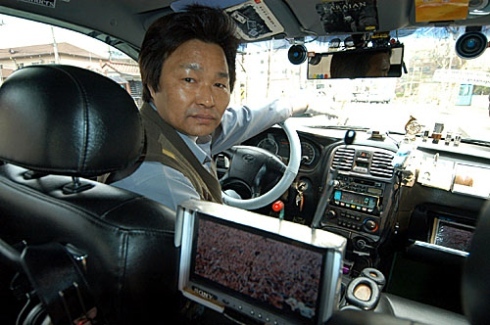 This man doesn't smile when you get in the car, neither should you. Know where you are going and make sure the driver does too. If he doesn’t, he won’t mind taking longer or getting lost and blaming you. If the driver seems uncertain about time or how to get there, try to take the next one. This means I’m in a hurry. This can cut five to ten minites off of some trips and tends to keep drivers from taking the long way. Also means they might break a few laws and run a few reds along the way. If you know a faster way, tell them as you get on. With everyone and their mother using a Galaxy S, iPhone or other smartphones you can use GPS to find quick routes or keep an eye on your own to make sure the driver isn’t messing with you. If they take too long or don’t know where to go, get off and take a different taxi. Don’t be afraid to ask to get dropped off early. At any point, be ready to tell the driver to let you off early. No shame on your part, though maybe on theirs. This is the best and most effective way; bring a native Korean. They can haggle and give the driver directions or yell at them if necessary. Drivers know to try and milk foreigners and Koreans in the car usually keep that down. Personally I’ve been ripped off more than 5,000 Won and a few times they ask to tip for driving out of their zones. I’ve personally ridden from the Olympic Stadium to Mok-Dong(목동) on 20,000 Won. It was late, no traffic and took less than 20 minutes. I use this as a reference for whenever I take a taxi, if the driver isn’t willing to match the price I don’t get on. 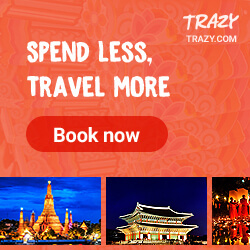 Tags: Korea, Korean culture, Seoul, taxi, taxis in Korea, transportation, travel, travelling in Korea. Bookmark the permalink.